Along with various other products, we also specialize in Battery Powered Pet Strapping Tools. Keeping the needs of our clients in mind, our engineers and technicians have made a user-friendly product. It's high technical features and superior features make it a product of high demand in the market. It's ergonomic and rugged design gives it a high speed. 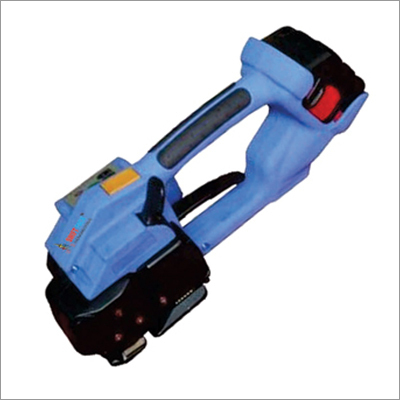 The pet strapping tool has a Flexible Tensioning Mode and it's battery gives up to 200 cycles in just one battery charge thus making it a convenient and economical material handling equipment. The adjustable strap width enables it to be a widely chosen product in the market. With the approval of our top engineers, this machine is safety approved and has been rated as a highly reliable product in it's line. Along with this, our company gives a guarantee for all their products including this item.